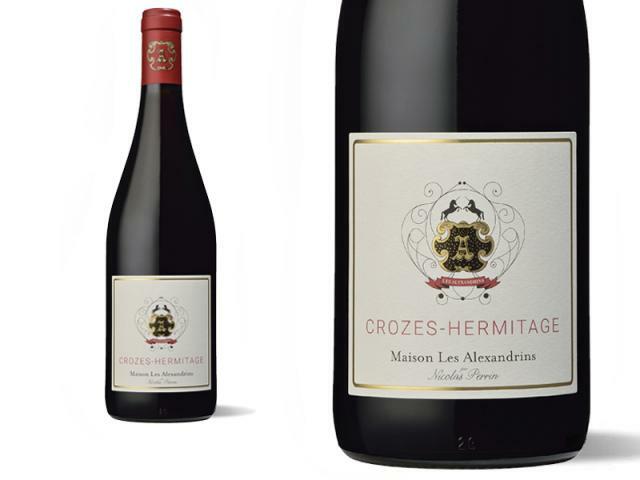 The vineyard of Crozes Hermitage isn’t as old as that of Hermitage. It developed over this century towards the south to the detriment of fruit orchards. In the north the terroir is composed of granite slopes similar to those of Hermitage. In the south the soil is mainly alluvial with a few stony terraces brought by the Rhône river. The vines are south facing, on slopes where the Mistral blows frequently. The wines produced in the North and those in the South of the appellation are very different. In 2018, we were lucky to have another very good vintage in the Northern Rhône Valley. A generous and qualitative crop despite major climatic hazards that required the greatest attention. There was an early start to the vegetative cycle with a particularly rainy spring, especially in May and June, causing suspicions of mildew, which, fortunately did not take place. Then the summer was scorching hot with drought and risks hailstorms. These tense and extreme conditions required increased monitoring, responsiveness and constant vigilance in the vineyard. The harvest then began under bright sunshine on August 31st with our first harvest on the Brézèyme appellation and ended on September 25th with the red St Joseph. For each area, the sessions were quite short, with a very strict selection of the bunches, in order to harvest at optimum maturity while maintaining freshness and liveliness. We have worked daily, tasting the berries, differentiating the age of the vines, the grape varieties, the terroirs to personalise each snip of secateurs and only select the best. Thus, the 2018 wines are ample, voluptuous and generous, with great liveliness and freshness. Crozes Hermitage is the biggest vineyard among the Northern Rhône appellations with over 1300 hectares. It is spread over 11 different communes situated in the department of La Drôme on the left bank of the Rhône river. The grapes are cold-macerated before being fermented to increase the aromas of fruit. Maceration and fermentation for about 20 days with pumping-over for the first few days followed by punching-down. Ageing takes place in barrels for 10 months and then in stainless steel for another 6 months. This wine offers immediate pleasure. As soon as you open it the fruit is there. You can serve this wine at about 16-17°C with grilled food. © Domaine & Maison Les Alexandrins – legal terms – Drink responsibly.